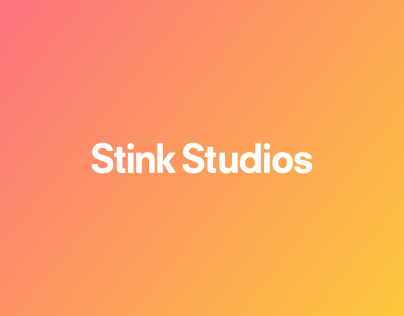 Spotify’s marketing solutions team came to us with a problem: they were growing their business into new advertising formats, robust content, and research-driven insights, but their legacy site was limiting them from expressing this change to the outside world. Over the course of several months, we researched, architected, designed, and developed a new digital landscape for Spotify for Brands. 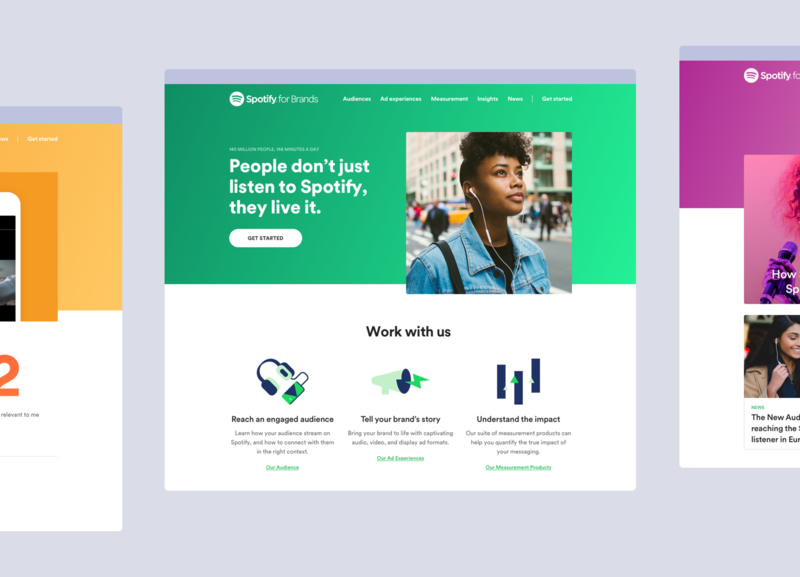 The final result is a business-oriented, easy-to-update site that helps a new generation of digital marketers understand Spotify’s unique offerings. Previously, the Spotify for Brands team had limited ability to update content or make changes on their site. Even worse, in many cases information wasn’t localized or translated, so incorrect information left sales teams in a difficult spot. 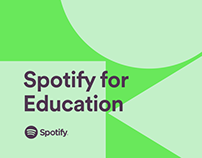 We worked with Spotify for Brands to craft a completely modular system that not only allows for easy localization and content updates, but is also consistently designed. In order to execute this vision we brought in a brand-new content management system and created a design system based on flexible modules. 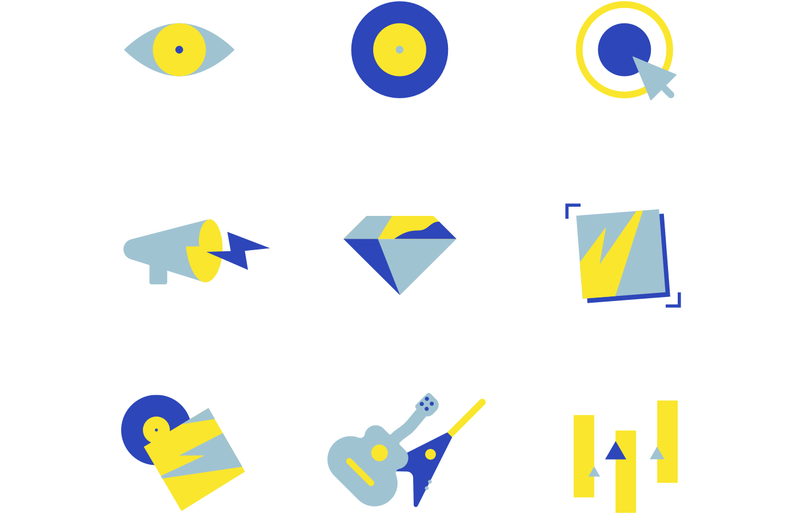 Working with Spotify’s existing brand guidelines, we crafted a new digital style guide for Spotify for Brands. 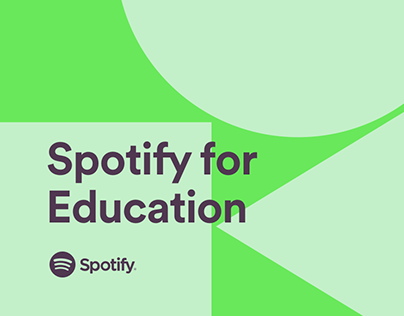 We used Spotify’s brand fonts and color palette, along with the duotone gradients Spotify is known for. 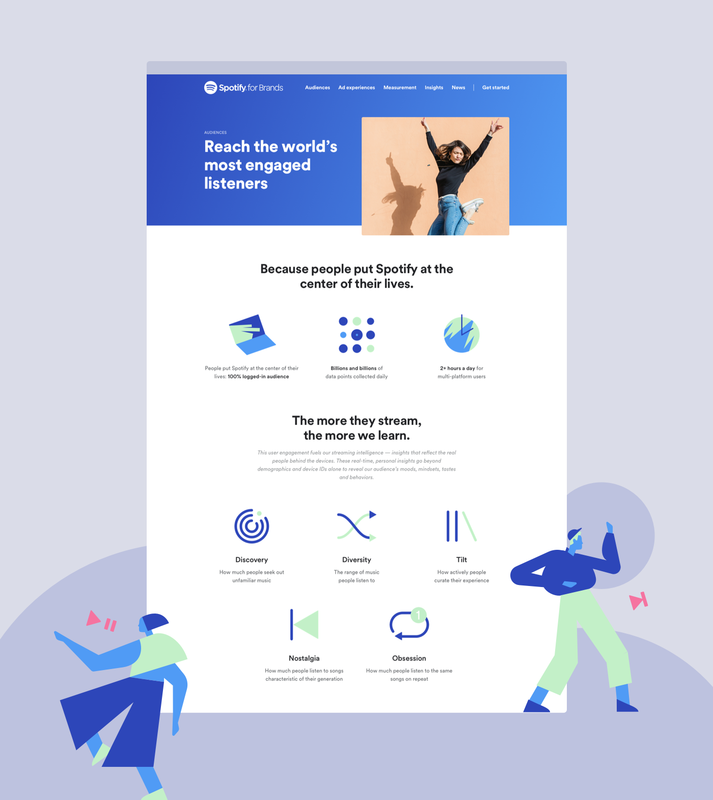 We also created a bank of illustrations we use throughout the site to explain concepts and inject Spotify’s energetic brand voice. The color palette for the illustrations on each page correspond to the hero gradient, so each page has its own color theme. The site’s design balances louder branded elements with well-considered whitespace to achieve a clean and professional feel. 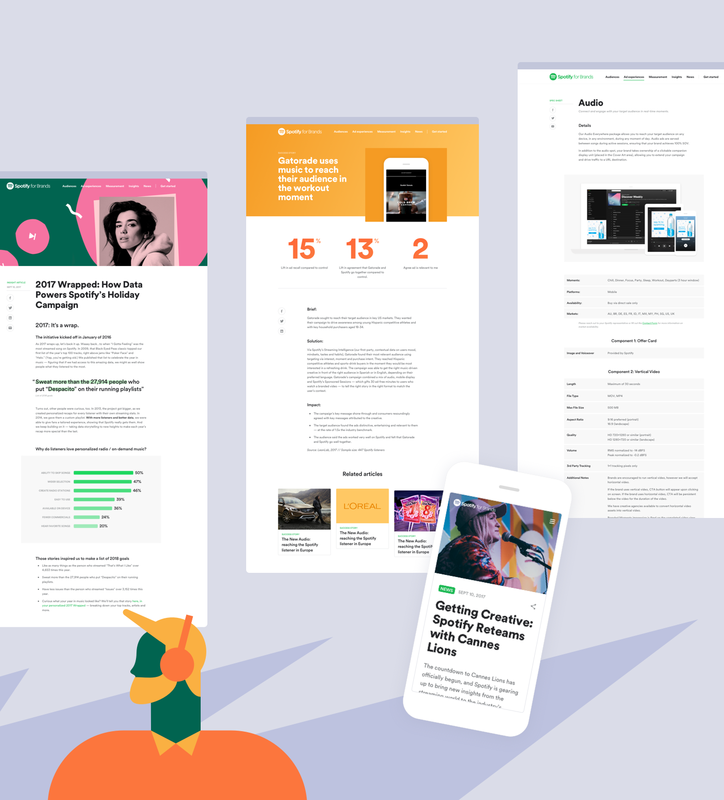 We worked with Spotify for Brands to art direct and update the site’s content. 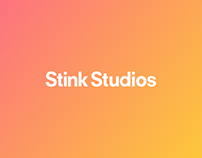 Even though we were limited to an existing bank of images, we pushed the design by treating images with gradients and creating custom illustrations in-house at Stink Studios. These final touches marked the end of a months-long partnership with Spotify for Brands to re-imagine their digital presence. 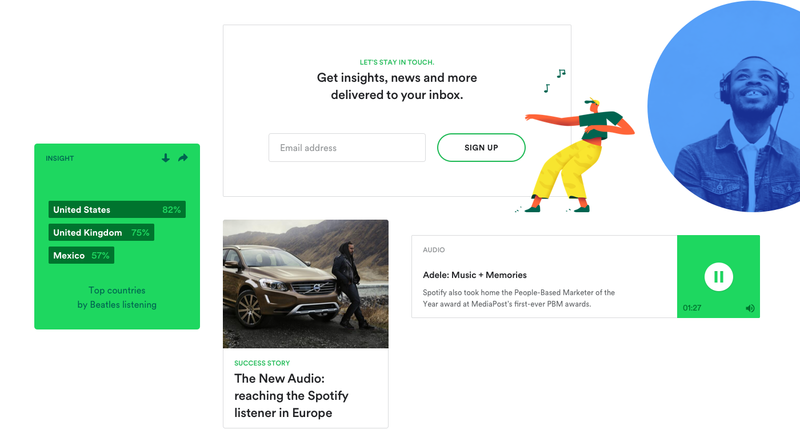 The end result is a site with vastly improved architecture, messaging, design, and content, that serves as the first point of contact for anyone who wants to advertise to Spotify’s 140 million global active users.